I’m very excited to announce two research studies for which I completed the analytics between June and December of last year on behalf of Regional Development Australia Wide Bay Burnett (RDA WBB) in my role as chair of the Workforce Planning Sub-Committee which provides supplementary advice, training, support and assistance in the areas of Workforce Planning, Workforce Development and Workforce Analytics. 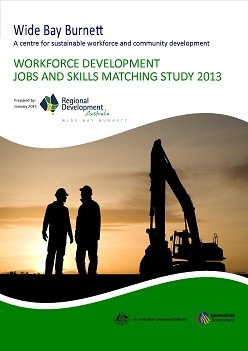 The Workforce Development Jobs and Skills Matching Study 2013 was developed after nearly 1000 registered job seekers were surveyed in partnership with Wide Bay Burnett Job Services Australia (providers). The study utilised the data to identify key barriers and opportunities for the Region’s unemployed labour force. 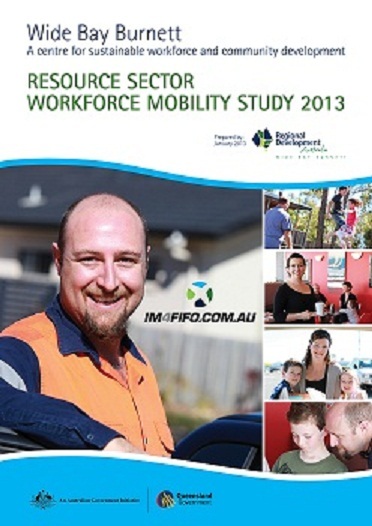 The Resource Sector Workforce Mobility Study 2013 is a look at the first 700 Resource Sector workers who undertook the IM4FIFO survey between August and December 2012. The study utilised the data to identify the key barriers and opportunities for the regions mobile workforce. Furthermore this research will establish effective long-term solutions for the Wide Bay Burnett’s existing workforce providing them with better work/life balance solutions while still addressing key industry issues of safety, fatigue management and staff turnover. Analytics are only a small component of these projects and I have benefited from having worked very closely with two very outstanding individuals. Grant Maclean, the RDA WBB Chairman has always had a vision for creating a step change for the Wide Bay Burnett region. His guidance and strategic vision has, in my view, made our region standout in terms of focussed outcomes. He has also been a fantastic guide as I had to carefully balance both operational and Board responsibilities for the latter half of 2012. Although you won’t see his name on the reports, Paul Massingham, the Executive Officer of the RDA WBB has done an amazing job in the creation of these two documents and for my thinking deserves the bulk of the credit for these fantastic publications. In just six months, while managing a small but very capable team he was able to access an enormous amount of data, brief key stakeholders and build strong relationships with three levels of government, the community and industry. It was certainly a bonus for our recently appointed FIFO coordinator, Danielle Andreuzzi to have the data immediately available for the write up of the Resource Sector Workforce Mobility Study. Having worked on analytics (in one form or the other) for over a decade I must say my six months collaborating with Paul in an operational capacity were not only the most productive (I was able to produce more than 80 baseline info-graphics from which our staff can now build and scale) but one of the most enjoyable. Paul’s professionalism, subject matter knowledge, drive and pure energy allowed for quick turnarounds on my input with minimum repeats. As stated above I think both these studies are fine pieces of Regional Workforce Planning research and if I would commend them to you. As an aside you can also view the IM4FIFO advertising campaign which was broadcast across the Wide Bay Burnett region after the Queensland Minister for Education, Training and Employment, the Hon. Mr John-Paul Langbroek launched the project officially on the 14th August 2012.